This edited collection, first published in 1985, deals with a number of the major themes central to the study of industrial geography. Topics under discussion include new methodologies, the growing service industries, foreign investment and the industrial geography of the developing world. 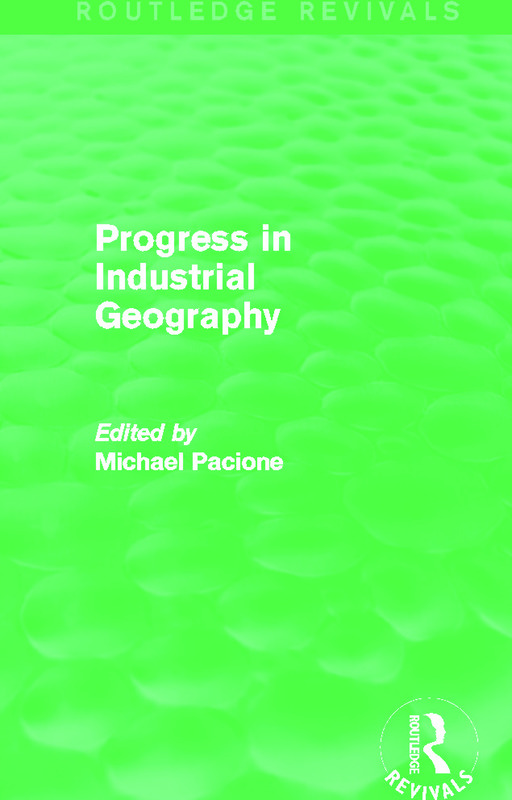 With a detailed introduction from Michael Pacione and comprehensive coverage, the title reflects the extent to which the field of industrial geography changed over the second half of the twentieth century in response to economic change, to incorporate the growth of multinational enterprises and the influence of globalisation, alongside traditional discussion of the manufacturing industry. Providing an essential background to developments in industrial geography, this title will be valuable to students with an interest in the economics, characteristics and advancement of industrial change.